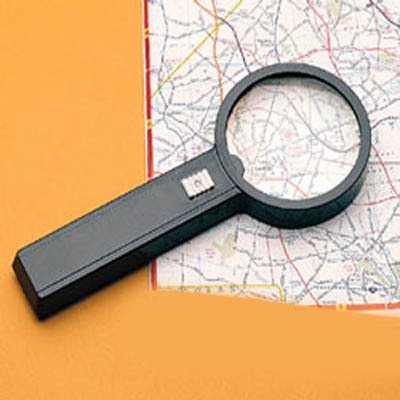 Powerful Magnifying Glass with Light imported ( Two pencil cells Not included ). Magnifying Glass with Light ( Magnifier ) - Good for old people to read . Useful for studying roadmaps and in rooms that have no reading lamps. Magnifying Glass Powerful has a built-in light to make reading easier on the eyes. It should be at every body home for fun also.